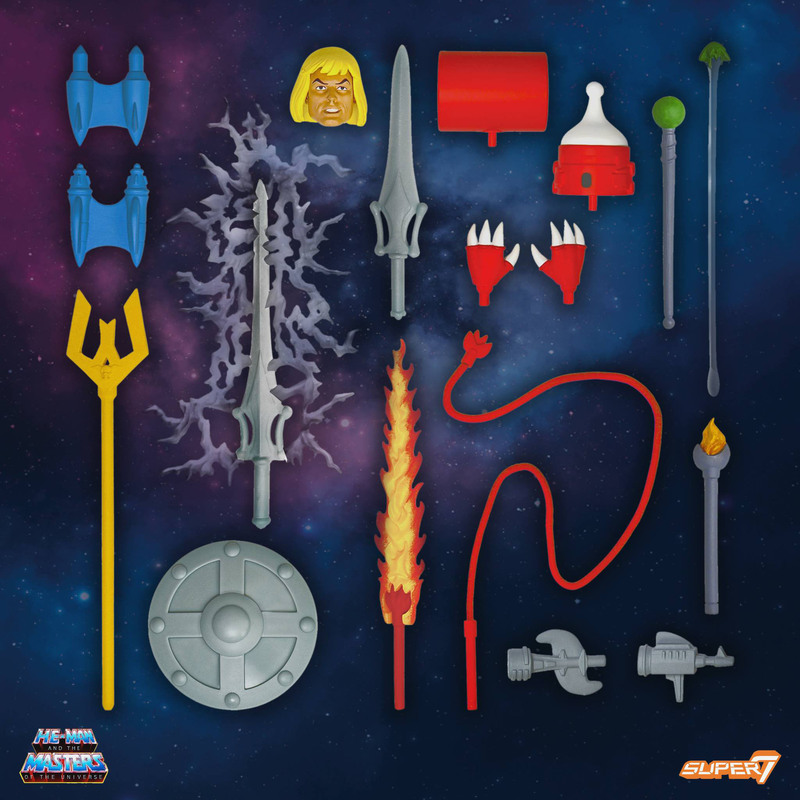 Super 7 has shared a look at the weapons and accessories that will be included with the next assortment of MOTU figures. The Masters of the Universe – Club Grayskull Wave 4 Figures are available now to pre-order. There are six figures included in the assortment: Kittrina – Claw baton, Claw Paw whip, and Claw Flame sword. Modulok – Alternate hands and heads, Electrode, and Sledge Hammer. Prince Adam – Sword of Power, Sword of Power in transformation mode, and Photanium Shield. Roboto – Interchangeable arm attachments, Claw, axe, and blaster. Shadow Weaver – Wizard’s Wand, Wand of Crystal, » Continue Reading. The post Masters of the Universe Club Grayskull Wave 4 – Weapons Update appeared first on The Toyark – News.